Super Street Fighter 2: Champion Edition for the PC Engine (1993) is a great home-console port of a great first update to a great Capcom arcade game, Street Fighter 2: The World Warrior (1991), within the great Street Fighter series. Did I mention that it's great? More importantly, it's a perfect example of why I chose the system and the first game I sought out specifically. That's why it's taking its rightful place on the favorite shelf. The PC Engine received the very first home-console port of the Champion Edition update in 1993. 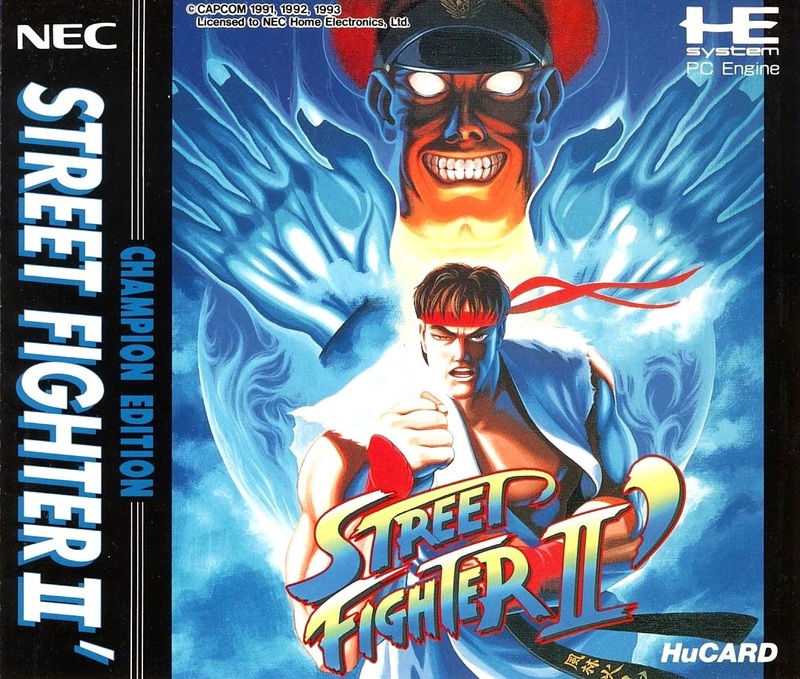 The Sega Genesis was intended to receive a similar port (eventually called Street Fighter II: Special Champion Edition), but held out for similar updates being given to the SNES port Street Fighter II Turbo: Hyper Fighting. These two likely comprise many U.S. fans' first home experience with the long-running series. Though the PC Engine version is missing some of the content, all three are arcade-sound and enjoyable to this day. I recommend watching RGT 85 and John Hancock's discussion on the three variants. There's no cheap way to do it. A long time ago I lucked into I lucked into a Turbo Grafx 16 and a few games at a garage sale. Over the next decade I learned that its library is very small, expensive, and dull without the CD add-on, so I traded it into Gamer's HQ. Within a couple years I'd saved enough money for a Japanese PC Engine Duo variant. It's initially expensive, but a great big-picture way to collect for the system, allowing region-free disc games without expensive arcade cards or add-ons, and the much-better Japanese library of HuCards. Champion Edition is a perfect example of the latter. It was only released in Japan, but offers little language barrier (most non-RPG and -adventure titles don't), and can imported very cheaply. There are no comparisons for the Turbo Grafx 16; you'll overpay for the disappointing Fighting Street to get close. My system came with a few common discs and HuCards, but this is the first game I imported separately for all the reasons mentioned above. Street Fighter II: Champion Edition's combination of unique quality and personal sentiment earns it a place on my Favorite Shelf. It was a major influence on the purchase of my PC Engine, and I'll keep it forever to convert other console-war nerds.